Imitation Tile Roofs In Dallas, TX And Surrounding Area! Imitation tile is a good choice for homeowners who like the look of clay, slate, and wood roofs but don’t want the real thing. Budget is one component: Imitation tile roofs will cost less than the materials they mimic. Another is load weight. 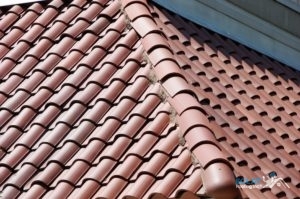 Clay tiles, in particular, are a heavy roofing system that not every home can hold up. Upkeep is a factor, as well. Although wood tiles have a pleasing aesthetic effect, they require a lot of maintenance to keep them in good shape. These aren’t the only benefits. Imitation tiles are extremely durable, handling hail and storms better than most other materials. They can also be environmentally friendly since many tiles are made from recycled materials. Thus, imitation tiles, also known as synthetic roofs, are becoming a more and more logical alternative to some homeowners. The dedicated roofers at Eclat Roofing are here for all your residential roofing needs! Our Dallas, TX imitation tile roofs are long-lasting and durable. Call us now for your roofing service at (214) 373-1500! Our roofers can repair imitation tiles quickly and easily. This is an extremely strong material that won’t need many repairs if it is installed correctly, but if ever they do need repairs, we are the ones for the job. Repairing your roof quickly will keep your repair costs low. If you want your roof to last, it is important to schedule regular maintenance to make sure there is no costly damage hiding on your roof. Even with a roofing material as durable as synthetic tiles, it is still vital to schedule regular maintenance for your roof to help it last as long as possible. This is especially important after severe storms. We are the installation and replacement pros for imitation tile roofs! Slate is the most popular tile to imitate, but, as said above, there are also clay and wood imitation tiles to choose from. Our roofing contractors can go over all the options with you to help you choose the right tile color, shape and style to meet your home’s style! Eclat Roofing is here for all your residential roofing needs. Our roofers are the best at replacing, repairing and maintaining Dallas, TX imitation tile roofs. Give us a call today at (214) 373-1500 to schedule your roofing services! Updated on September 13, 2018 at 3:08 pm by Eclat Roofing.